The major use for tantalum, as the metal powder, is in the production of electronic components, mainly capacitors and some high-power resistors. 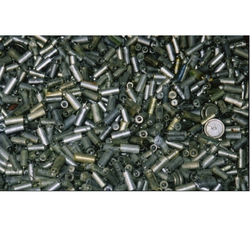 We procure tantalum scrap and supply tantalum metal of any form, any company interested in tantalum can contact. We are stockist of niobium turnign scrape . Scrape pure we are supplier to all refinery and chemcial industries of niobium . If you required any kind of metal pleas feel free to contact us. 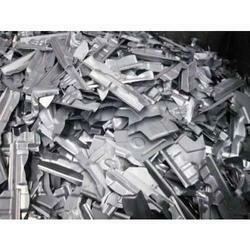 We have a large stock of Tantalum Scraps and turning, we have in scrape sheet, pipe, flat, basket, jail in scrape and heat exchanger sheets turning, boring, powder also available. We are also dealing in prime material of tantalum wire, rod, sheet, etc. We have a large stock of tantalum scrape and turning, we have in scrape sheet, pipe, flat, basket, jail in scrape and heat exchanger sheets turning, boring, powder also available. We are also dealing in prime material of tantalum wire, rod, sheet, etc. Asian Metal & Engineering Co.
Owing to the wide experience in this domain, we are instrumental in offering Tantalum Metal Scrap.